oh my god this is i !! can you give me permition to make the bird the base of my tattoo ? i've seen so many and this is the only one who touched me. 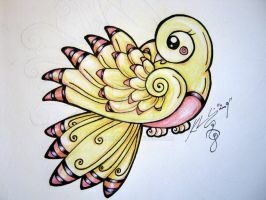 This is a beautiful tattoo design :] I've been looking around and I hav yet to come across one that is this stunning!! simple yet cool. I would like to invite you to my new Facebook app Inkspired for artists and fans. I am sure my 2 million fans will love your artwork. Damn! It's so so cute! I wish I had one someday. Would you be bothered if I had this tattooed? lovely bluebird! i love the colors,nice job! ok so sorry it took me so long to upload the picture. but thanks again. im absolutely in love with it. omg i love sparrow flash and this one here is soc CUTE!! 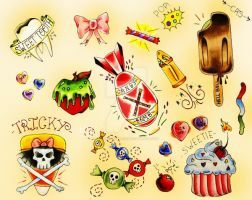 hi, great image - could i use it in the overall design of a new tattoo, piercing and body art site i'm making? WOW, Im in love! Goddamn..
And like them, i wonder if it's alright if I use it for a tattoo? Almost exactly the same.. I want to put two identical tattoos on my leg, facing one another and in different colors. would it be cool if i used this as a tattoo? its absolutely beautiful. thank you so much. i actually got it wednesday night right after i read your blessing lol. ill be sure to send you a pic of the finished product once i upload the pics. thanks again. beautiful, is this image for sale at all? I would like to get a tattoo with this style except instead of the rose a nautical star.